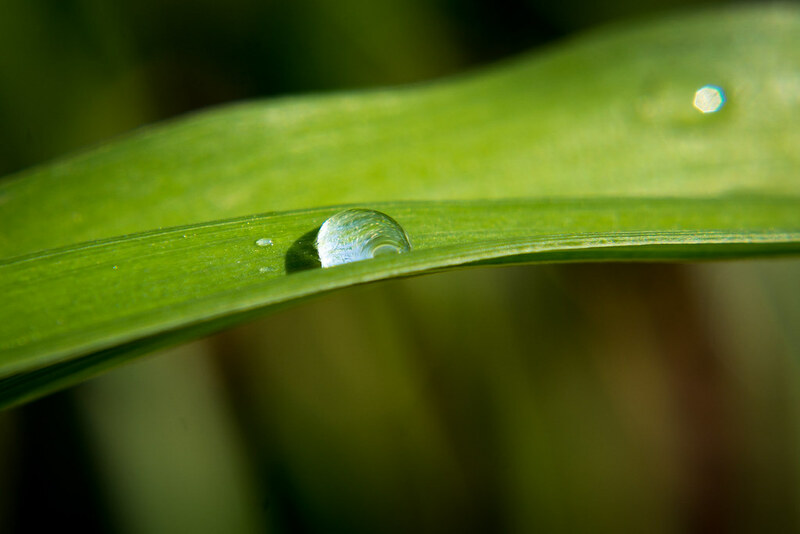 Keen readers may recognize this picture, or have a sense of déjà vu when seeing it, because it’s not the first time I’ve used a shot of a drop of water on a blade of grass as the subject for a photo. There’s something about the act of capturing the organic elements in a state like that that I really enjoy, and I think the contrast between the bright whites of a drop of water and the deep greens of the grass on which it sits are always fascinating to me. On another level, it’s just a lot of fun to shoot photos like this and I find it to be a fun and interesting way of exploring the ways in which such a tiny, singular object can be photographed. The name of this week’s picture comes from the black hole in the movie Interstellar, which came to my mind as I was editing this picture in Lightroom. The way the light curves and bends around the droplet really struck me, and I like how if you look closely (click on the picture and zoom in to 100% on the Flickr version) you can get a sense of the trees and clouds overhead that are being changed and distorted when reflected in the drop. It’s a cool thing to think about, that such a tiny drop of water (it was probably about 5mm in diameter) could contain, in a sense, the vastness of the sky above. I mean, I get that this is wading perhaps a bit too far into the deep end of the interpretational pool, but looking at such a huge expanse reflected in such a tiny drop is kind of humbling. Anyway, when I shot this I was kind of on a mission to explore what I could do with my 50mm lens and +10 filter–a creative mechanism that I don’t often find myself employing on my photographic endeavors due to how unwieldy it can be to use given its super thin depth of field. I spent about 10 minutes walking through the garden near the Alumni Center on the OSU campus with no particular photographic vision in mind, but curious to see what I could see. After shooting some flowers I was about to leave the area when I saw the drop-of-rain-on-grass scene and wanted to give it a try. I had a couple of things to consider such as the angle of view (I ended up almost laying on the ground) and my position in relation to the sun, as well as what aperture to use. I often use my +10 filter at f/8 because any shallower results in a degredation of overall sharpness as well as a much-too-shallow depth of field, and on the afternoon I shot this there was plenty of light to give me a good shutter speed despite the constricted aperture. I deliberately shot this such that the droplet was slightly backlit in order to catch a glint of sunlight on the left side, and I think it worked out well despite the ugly dark shadow you can see next to it. I guess you could say the sun was more overhead than behind it, but still, I tried moving around to get a different angle but I didn’t like the lighting in those tests, and I also appreciated how in this version you can see the blade of grass receding into the background along with the bokehlicious heptagon of light in the top-right corner. It is always amazing to me the clarity and depth you are able to get with that 10+ filter. I like this shot because it awakens a sense of peace and awe in seeing something so small reflect something so large. A good lesson for our own lives.